Note: This post references sensitive subject matter pertaining to lynching in America. 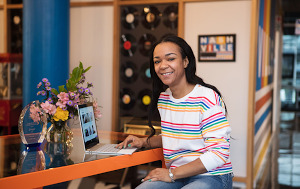 Growing up, Shirah Dedman always hated family tree projects. 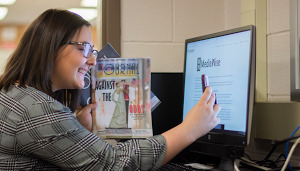 While other students could trace their roots as far back as the Mayflower, her story always stopped at her great-grandfather. At the age of 32, with the help of researchers at the Equal Justice Initiative, a Google.org grantee, Shirah learned the true story of her great-grandfather’s life—and death. Thomas Miles Sr., a black business owner, was lynched in Shreveport, Louisiana in 1912 for allegedly passing a note to a white woman. Fearing for their own lives, his family fled the South, and even changed the spelling of their last name—from Miles to Myles—to distance themselves from the tragedy. It would be decades before his story would come to light and his family could begin to make sense of their traumatic past. These stories are a difficult part of American history. Thomas Miles Sr. was one of more than 4,000 African Americans lynched in the U.S. between 1877 and 1950. Recently, the Dedman/Myles family returned to the South 100 years after Thomas Miles Sr. was lynched there. Today the Equal Justice Initiative, with support from Google, is shedding new light on this chapter in American history with Lynching in America: Confronting the Legacy of Racial Terror, an interactive experience that brings their groundbreaking research on this racial violence—and the personal stories behind it—online. The Equal Justice Initiative is a nonprofit challenging racial injustice both in and out of the courtroom. The organization’s founder, Bryan Stevenson, believes that we cannot truly move forward as a nation until we confront this dark chapter from our past. Google is committed to making information universally accessible, so that everyone has the knowledge to better understand—and contribute to—a more just world. 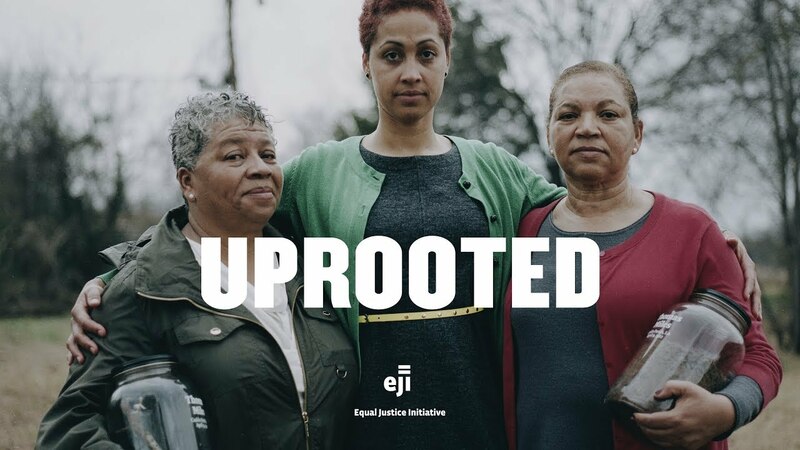 Together we share a commitment to creating a more inclusive society and leveraging data to fight inequities, which is why Google.org is proud to further increase our support for EJI, which began in 2016. Based on EJI’s original publication of the same name, Lynching in America: Confronting the Legacy of Racial Terror reveals both the scope of lynchings of African Americans between 1877 and 1950 and the profound way in which this era continues to shape our nation, particularly in our criminal justice system. Racial disparities continue to burden people of color; the criminal justice system is infected with racial bias; and a presumption of dangerousness and guilt has led to mass incarceration, excessive punishment, and police violence against people of color. If current trends continue, one of every three black boys born in America today will be imprisoned. The Lynching in America site brings together EJI’s in-depth research and data with the stories of lynching victims, as told by their descendants. Through six audio stories, and a short documentary, Uprooted, you both hear and feel the impact of this dark time in history on generations of families. You can also explore an interactive map that includes incidents of racial terror lynchings, as well as in-depth profiles of the stories behind these acts of violence. An interactive map, featuring EJI’s groundbreaking data on lynchings, exposes the devastating scope of this era. In addition to helping bring this essential history online, Google.org is also donating another $1 million to the Equal Justice Initiative to support their national memorial to lynching victims in Montgomery, Alabama. Opening in 2018, the memorial makes this history an undeniable part of the physical landscape, ushering the past into the present day. Lynching in America is meant to motivate a conversation. We hope that you'll not only visit this site but share its stories with others, and—as simple as it sounds—talk about it. 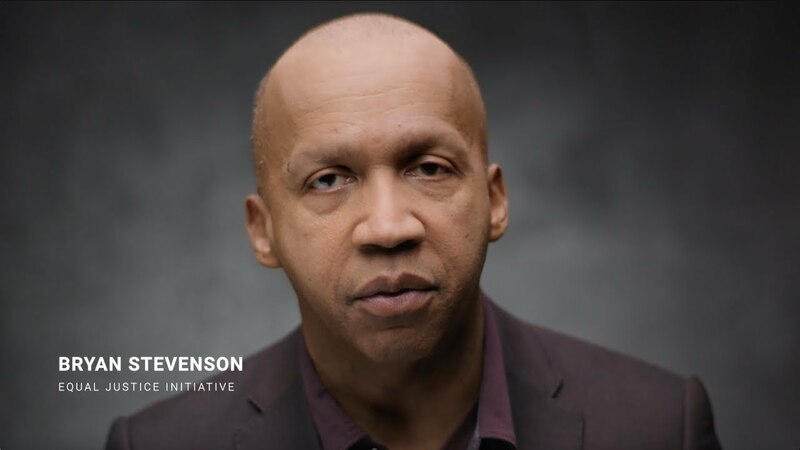 As Bryan Stevenson says, “I don't think we can create a generation of people in this country who are truly free, who are unburdened by this legacy and this history of racial terror, until we do the hard work of truth-telling.” In bringing EJI’s work to a wider audience, we hope to give all of us an opportunity to address our past and be part of the work of building a more just and equitable future.